I love matcha so much! 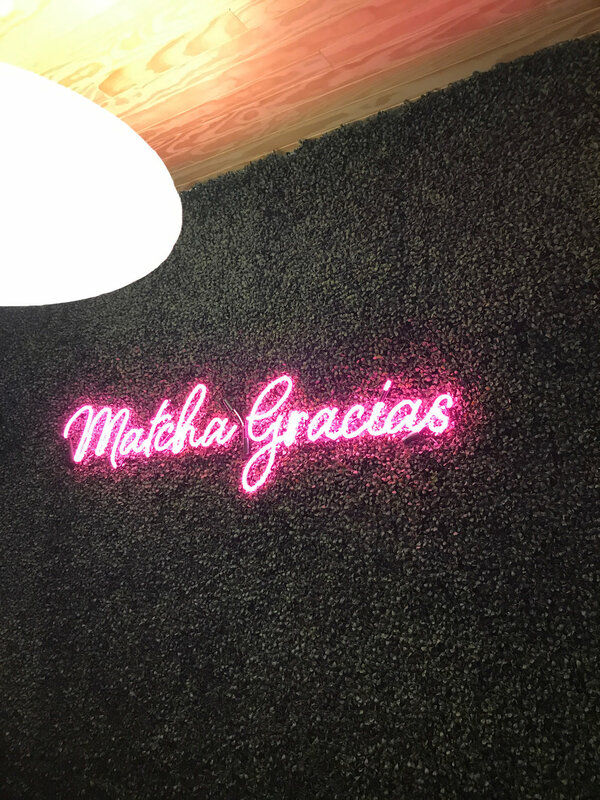 I've always wanted to go to Cha Cha Matcha but I've just never gotten the chance until now! It was incredible! A little over priced for the drink but the place is so cute! When you walk into this place it is completely filled with pink and green and a little bit of the tropics. It's a really cute place to take pictures for instagram, hang out with friends and drink matcha. I personally cut out coffee so green tea is a great alternative. There is a lot of really good elements in green tea that help prevent cancer. 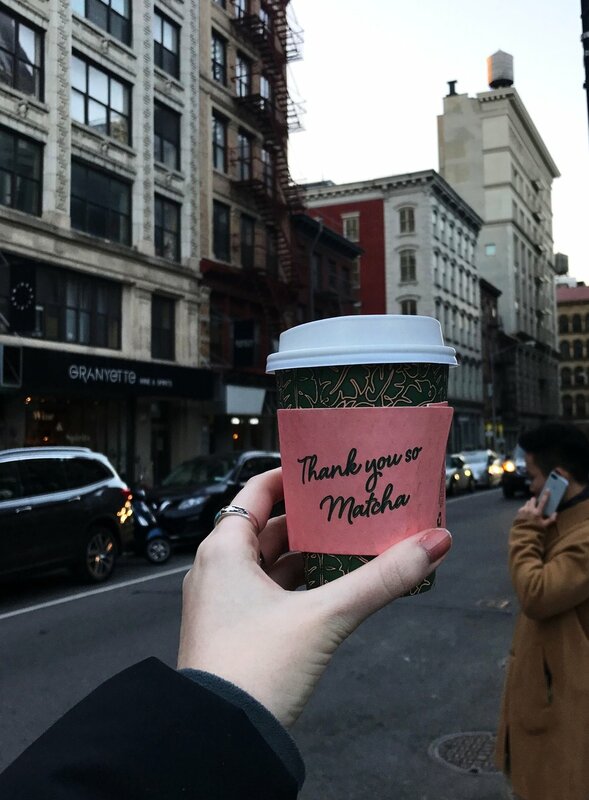 My boyfriend and I ordered matcha lattes and my friend got the Ginger Turmeric latte, he loved it but I thought was really bitter. I can't wait to go in the spring or summer and try the ice cream, lemonade and their pastries! Definitely check this place out if you're in the city and missing a little matcha.